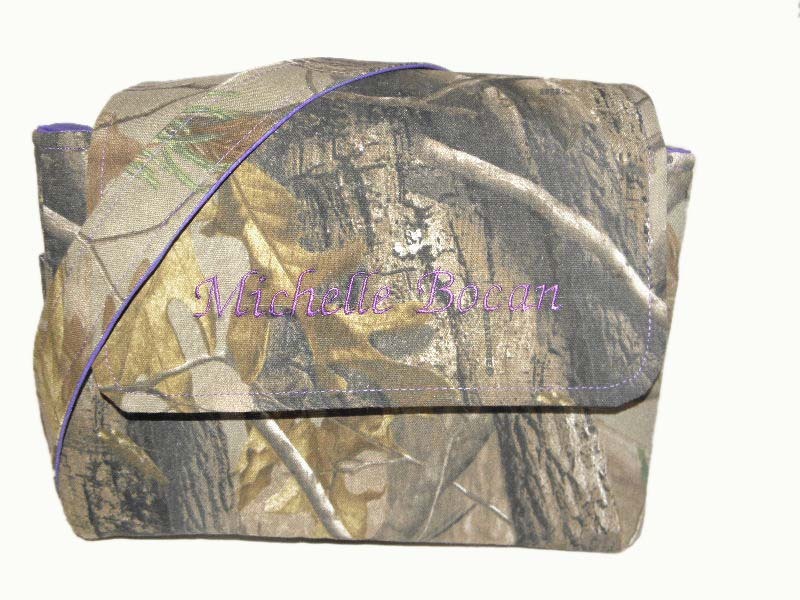 **All items listed on this web site are not licensed products. 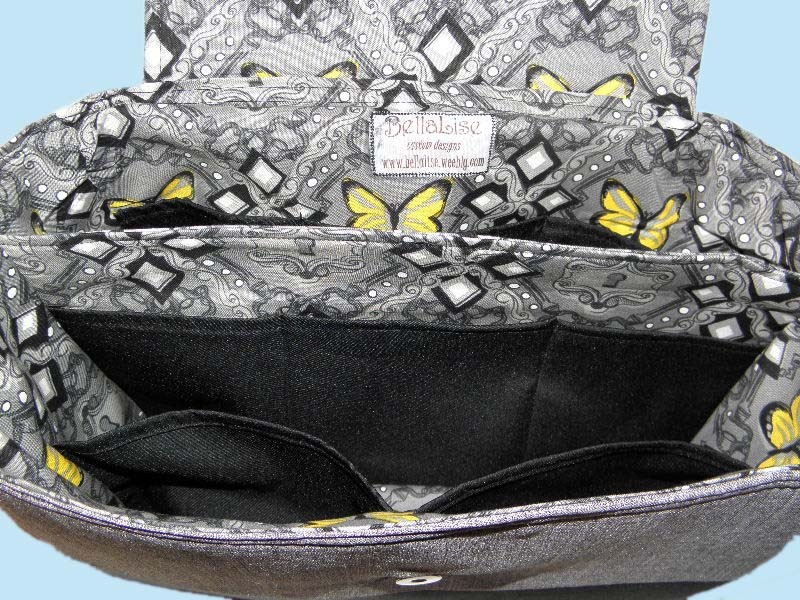 The new camera bag by BellaLise Designs is here! For all of you photography lovers, this is the bag for you. 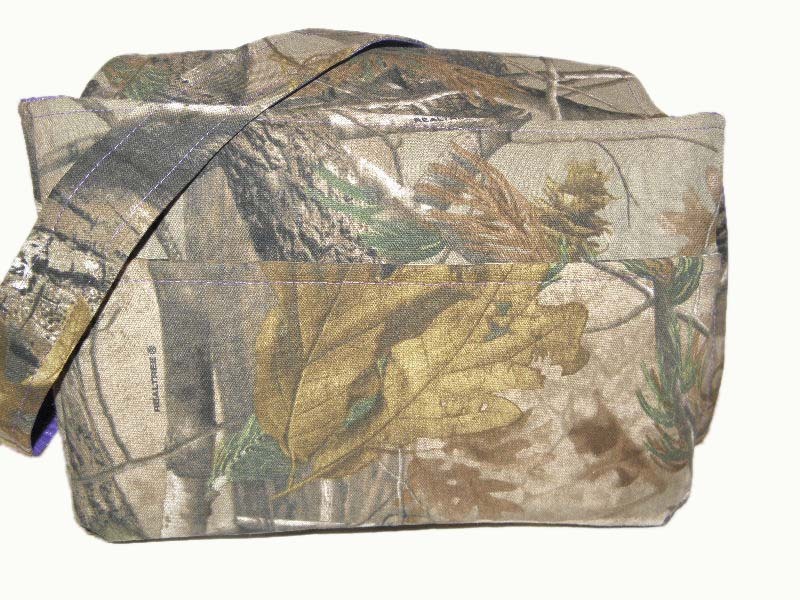 With tons of pockets and padded compartments, this bag will protect all your expensive equipment from getting damaged. 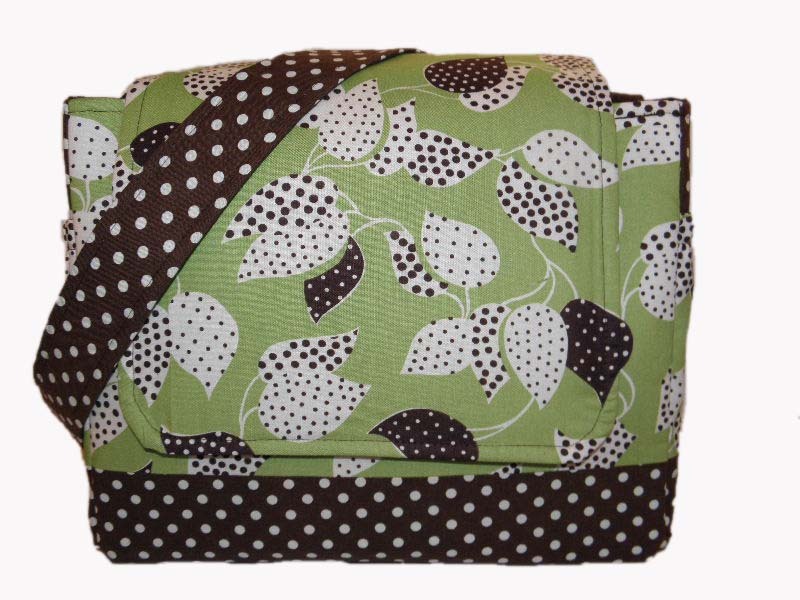 Measuring 14" tall x 9" wide x 9" deep, this messenger style bag is perfect for keeping your camera and lenses all together. The messenger flap over the top keeps everything hidden for security, and the longer strap can be worn across the body, keeping your hands free to shoot those amazing photos. 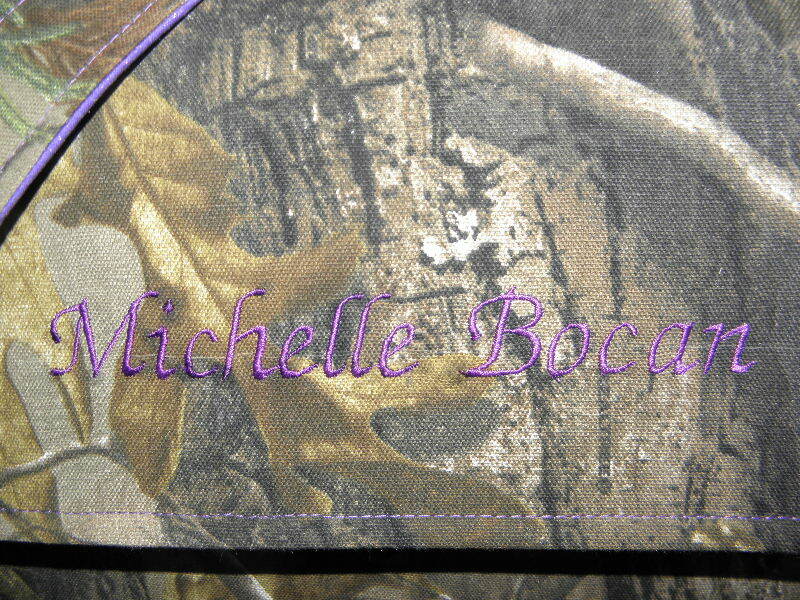 A camera bag in RealTree fabric and purple. 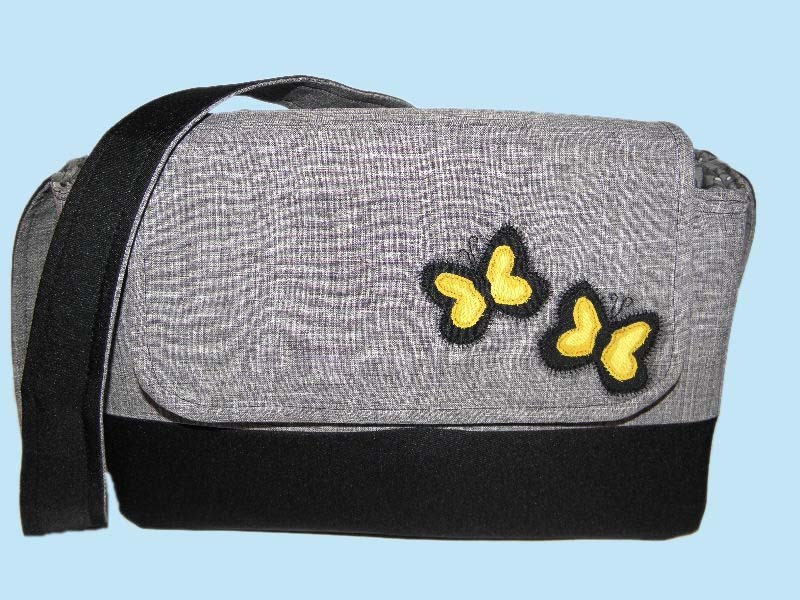 This bag has a line of embroidery on the front flap (extra charge for embroidery). Close-up of script embroidery on front flap. Back side has a long, single pocket. 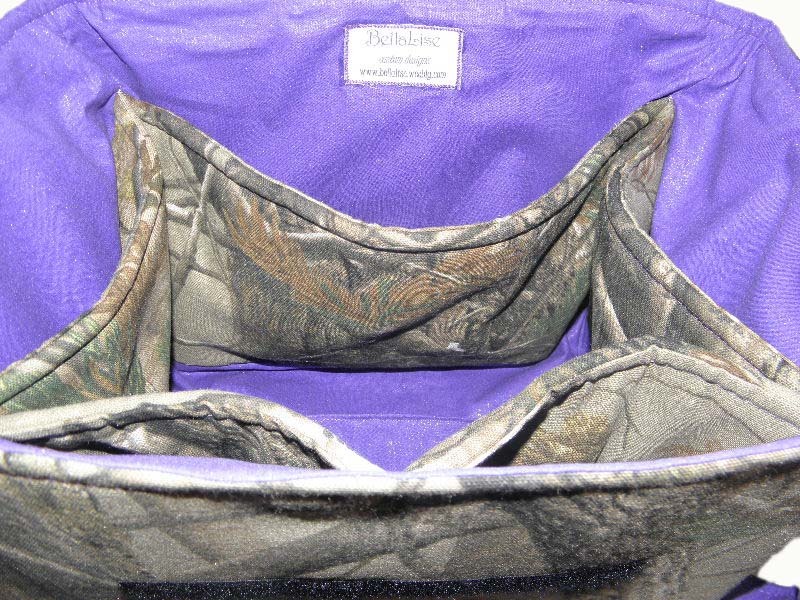 Each end also has pockets for additional storage. 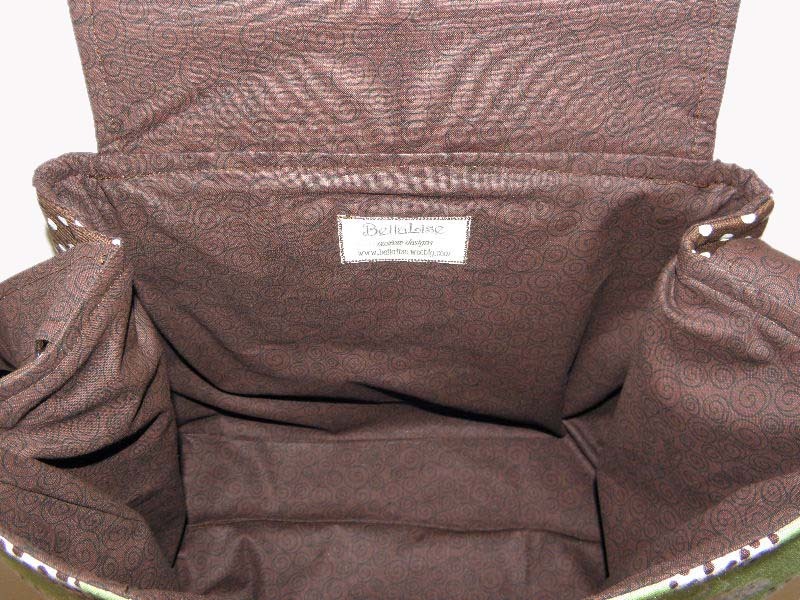 Inside has five padded pockets, one large, four small. Keep all those expensive lenses and your camera safe from damage. An adorable combo of green and brown! Messenger flap and strap, measures the same as a camera bag (although this particular one is not a camera bag, but has the same dimensions). 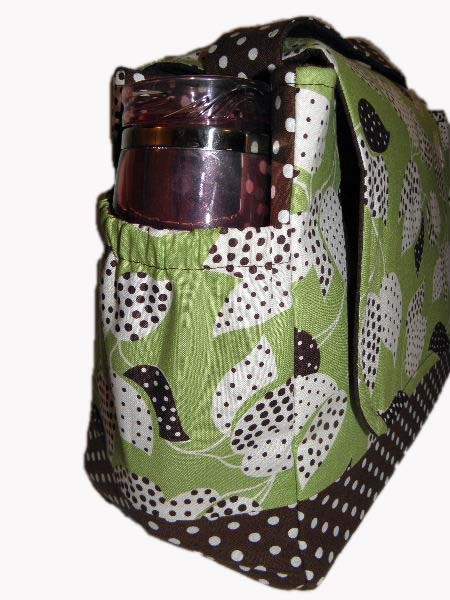 Sides have elastic pockets, perfect for carrying coffee or water bottles! Back has two large pockets. Flap open, hook and loop closure. 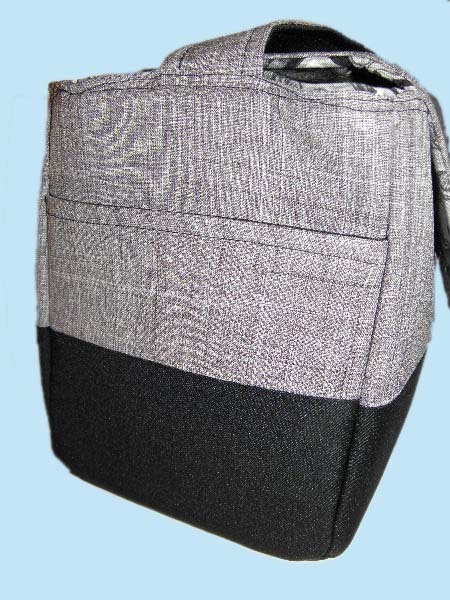 This bag has no pockets by request, but padded pockets could easily be added. A camera-style bag (not specifically for a camera, but the same basic style). I love the colors on this one. So versatile and goes with everything. 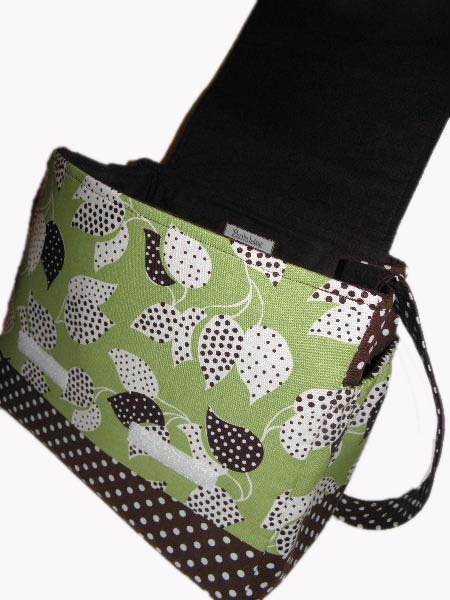 Single messenger strap, measures 14 x 11 x 7. 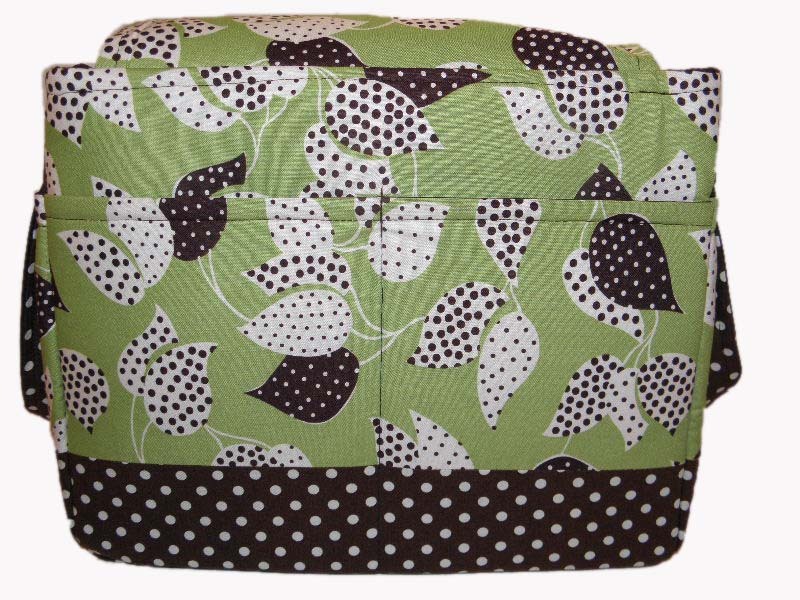 Sides have pockets for easy, accessible storage. 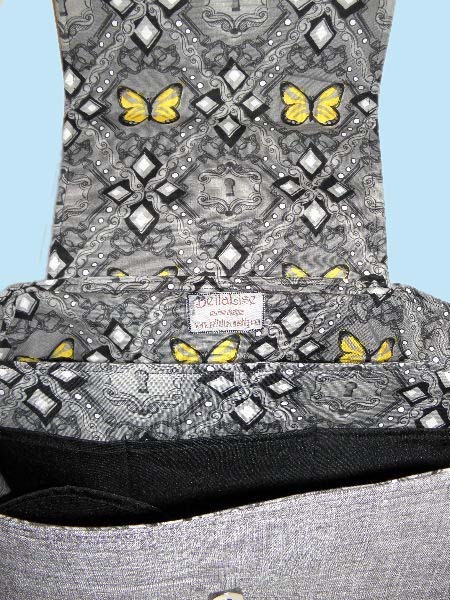 Inside has black, grey and yellow with butterflies and keyholes. I love this rich, thick fabric! Divider down the middle of the bag, and tons of pockets. 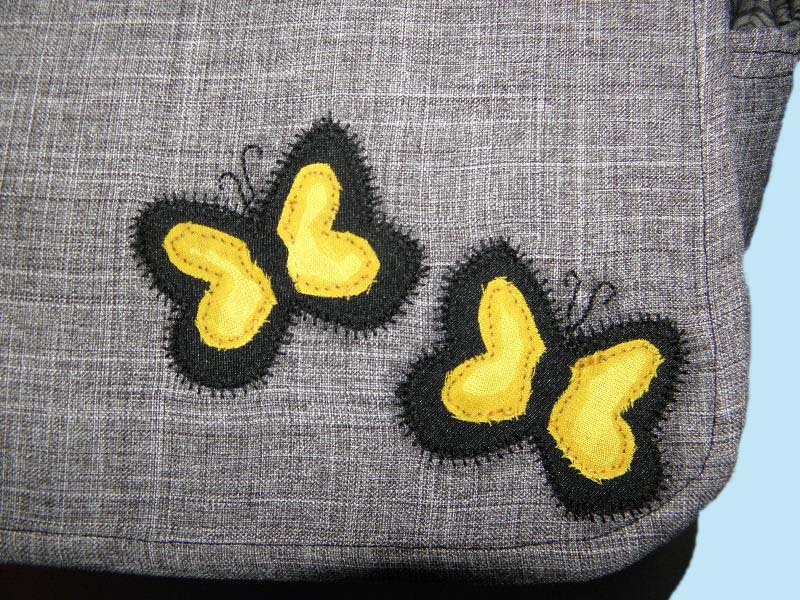 Hand-drawn butterflies stitched to the front. Hand-embroidered antennae as well.